Have you ever experienced painful stings of wasps? Wasps are a group of insects that have some resemblance but have distinguished characteristics than ants and bees. Apart from being helpful for the biological environment, these creatures create a nuisance and can be a threat to people nearby. Wasps are very aggressive and sting repeatedly. These creatures inject venom that causes several health issues and may require medical assistance. There are more than ten thousand species of wasps and get categorized into two groups, i.e., solitary wasps and social wasps. Solitary wasps prefer to live alone while the social wasps live in colonies. The wasps build nests anywhere including wall cavities, roof spaces, attics, and any other spaces not exposed to water. If you find a wasp moving on your property or premises, there are probabilities of finding wasp nest nearby. Never take a chance to disturb the Wasp Nest! The wasps could attack you in large numbers. The stings are painful but the effect doesn’t last longer or create any major health complications, but it is not safe to ignore stings from a group of wasps or if you have sensitive skin. You must have an idea about the health issues caused due to wasp stings. You need to look out for the symptoms of wasp infestation as detecting wasp infestation in early period will be helpful in controlling the situation before it turns serious. You must also have an idea about the common species of wasps found in Australia. 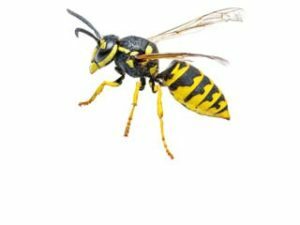 You will find several DIY products for Wasp Pest Control but implementing your DIY skills to fight the stinging creatures could be risky without following proper safety measures and treatment rules. The best way to stay protected from the wasp stings and the nuisances is appointing a professional team of Wasp Removal. Getting the expert’s pest control services has advantages, and you don’t need to deal with the stinging insects. Enviro Safe Pest Control boasts to be one of the leading pest controllers in Australia.